Incident Summary. 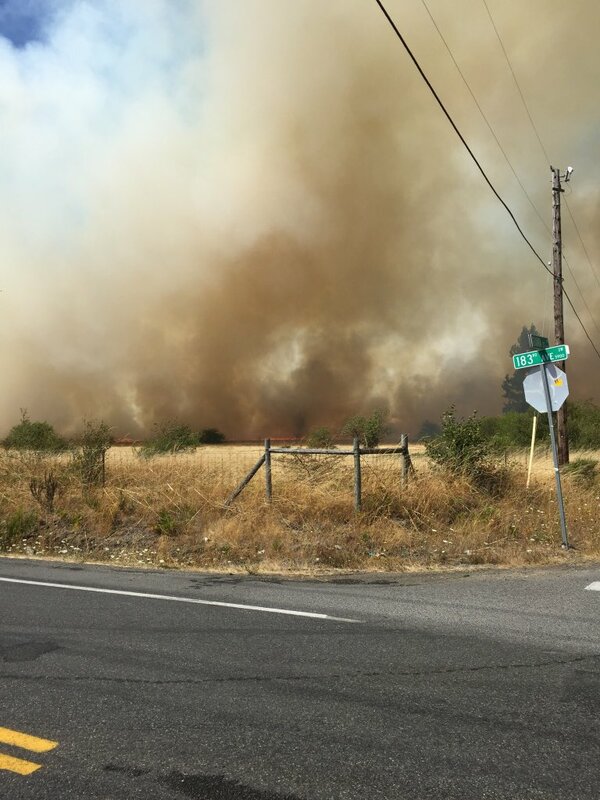 On the afternoon of August 22, 2017, a brush fire broke out causing immediate evacuations and other fire assets to be dispatched to the fire scene located about .75 of a mile East of Rochester, Washington. Cause. The cause is unknown and remains under investigation by Law Enforcement Officials. Evacuations. Later Law Enforcement officials would lift the evacuation orders but told residents not to return until they received the all-clear from them to do so. Size Up. The fire is currently at 462 acres of short grass, brush and timber scorched. Fire crews have reached a 65% containment status. Fire is still active in the northern section of the scorched area. Fire crews are expecting it could be another 10 days before the it is completely out. Fire Personnel. At the time of this post, there were 274 personnel with 3 crews and 25 engines assigned to this incident. Command Post has moved from the Rochester H.S. to the West Thurston Regional Fire Authority Fire Station on Sergeant Road. 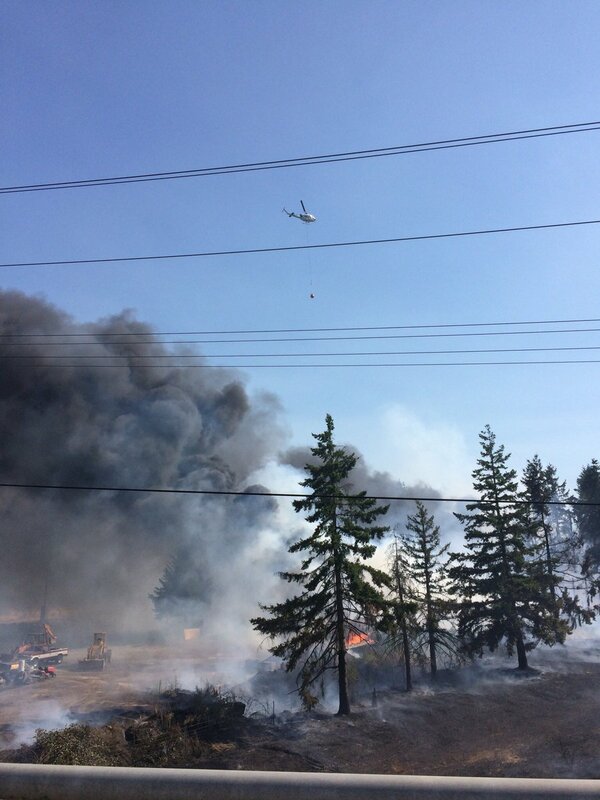 It will be in Unified Command with DNR – South Puget Sound Region and West Thurston Regional Fire Authority. Incident Cooperators. Resources also include: personnel from Thurston County Sheriff Office, Emergency Management and from the WA State Department of Corrections inmates as hand crews. EPA Dispatched. Due to many structures and damaged structures, the Department of Ecology (DOE) was called in to assess the possibility HAZMAT runoff. They were tasked with reviewing the fire area in its entirety to ensure no runoff had been detected. Utility Response.The fire burned a lot of power poles and hardware. Utility crews have been in the area working tirelessly to repair and restore services in affected area. By the end of Friday evening, all services had been restored. Firefighting Efforts, Costs. State mobe resources were placed back in service (at 0600 hours on Saturday) and transition of Command will be given back to Regional and Local resources. The total fire suppression and containment costs-to-date is $950,00. Community Losses. There were 2 primary and one unoccupied historic homes, along with 1 commercial building and 2 historic barns destroyed. An additional structure has been reported as lost but we are unsure what type of building it was. A total of 6 structures have been lost. A firefighter posted on his Facebook page around 0248 hours on Saturday morning that the fire is winding down and they would be demobbing later on in the day. 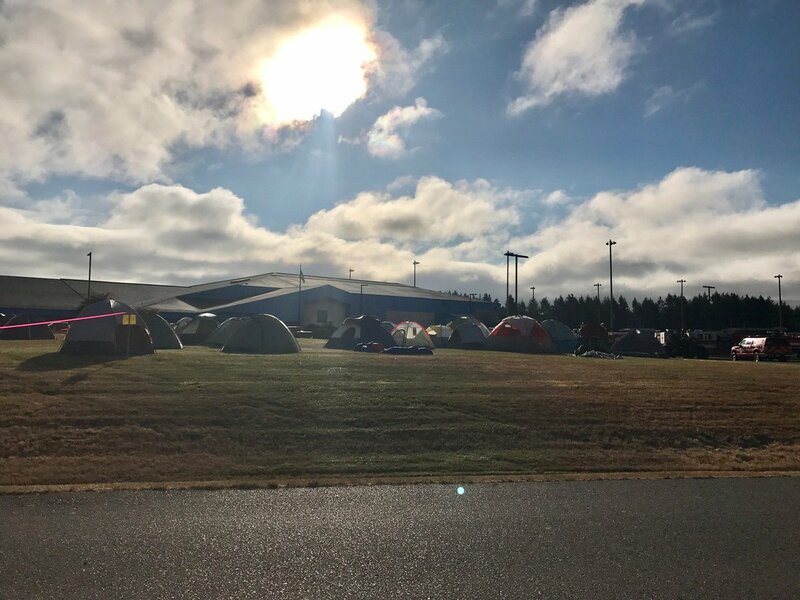 Thurston County Emergency Management released a presser on Friday, August 25th saying that there was still active fire on the northern portion of the fire area and would be expecting crews to take an additional 10 days putting all local fire crews back in service. A helicopter can be seen in the background with a bambi bucket (orange bucket below the aircraft. Credit: Thurston County Sheriff Office.